GM CEO Mary Barra speaks after meeting with Maryland's delegation. In an exclusive interview with FOX Business, General Motors CEO Mary Barra defended the company’s decision to cut 15 percent of its salaried workforce in North America, adding that the automaker’s focus right now is on its workers and ensuring that GM is in a position to lead in a rapidly changing auto industry. 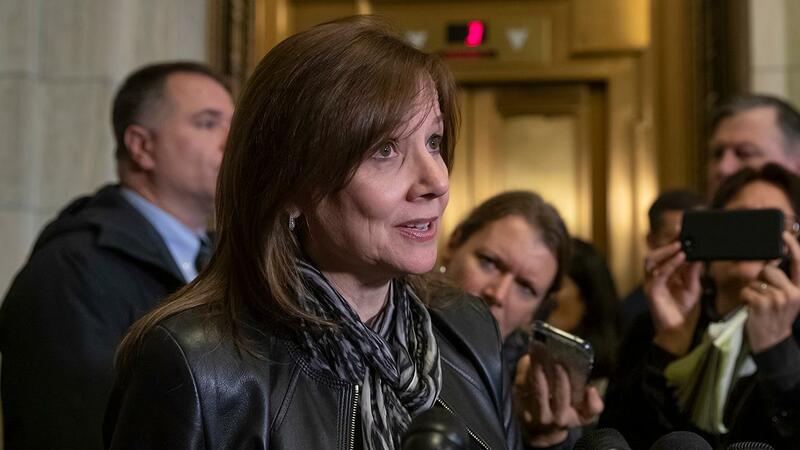 “We need to make sure that General Motors is around for the next several decades,” she said after a meeting with Ohio&apos;s two U.S. senators, Democrat Sherrod Brown and Republican Rob Portman. Barra added that GM workers may have an opportunity to find employment at the many growing GM factories around the country. Portman and Brown talked with the GM CEO about bringing new technology to revive some of the plants slated for closure. GM announced plans to introduce 20 electric vehicle models in the next five years. Portman is hoping one or more of those models would be built in Lordstown, Ohio. “These plants are unallocated right now....I have a responsibility to work with the UAW on that” Barra explained. Earlier this week Treasury Secretary Steven Mnuchin told FOX Business he hoped GM would be able to offer some workers jobs as the company reorganizes. The century-old automaker announced last week a production overall which will eliminate up to 15,000 jobs amid the closing of five plants in Ohio, Michigan and Maryland and Ontario. The move will also kill off six GM models, including the Chevy Cruze. Barra also noted the company is building electric vehicles like the Chevy Bolt EV in the Lake Orion, Michigan plant where GM builds and tests its autonomous vehicles.